In 2015-16 the overall library budget will be cut by £1.5 million. By 2018 it is predicted that the budget will have been reduced by 4 million in total. This will be a cut of 40%. Cutting the Library’s hours from 70 to 40 a week. Reducing Library staff by over 50%. There will be worse to come with bigger cuts in following years. What will this do to the Library’s reputation as a place of culture and learning? Will the performance of Birmingham schools and colleges fall because students will not have sufficient access to the Library and its resources? The building is heavily used by Birmingham’s young people. What will the impact be on tourism and the local economy because of the Library’s role as an international cultural destination? Many of the important Archive collections are on loan to the Library. Will depositors withdraw them? Will the designated status of the Birmingham’s Special Collections be affected? Will be current collections be safe without staff to look after them? 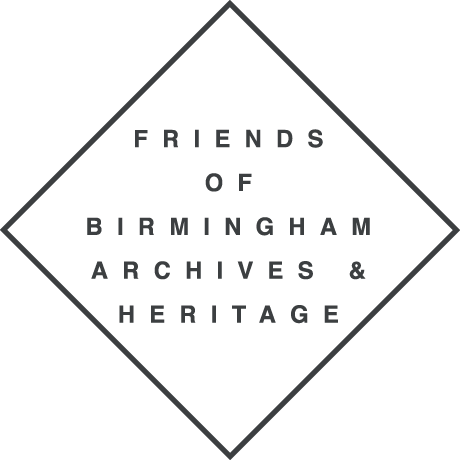 Will the Archives still be able to add new collections from Birmingham’s diverse communities? Will you able to get access to collections that are already here without cataloguing and conservation work? These cuts signal the end of Birmingham’s history and cultural life. Contact your local MP and local councillor.